Introducing Kaicycle! 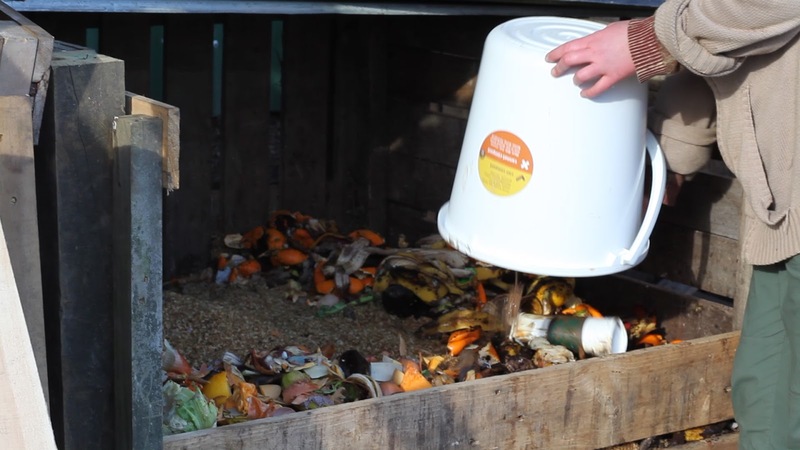 An innovative new food waste collection composting service for Wellington residents and small businesses, run by workerBe Oasis. 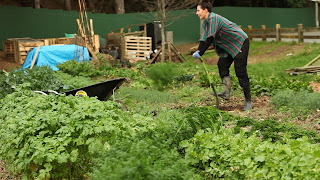 “Half of the produce grown on the urban farm goes to Kaibosh which is a food-rescue service. So it goes to needy families and organizations doing it hard in these times. The other half goes to workerBe , a health-food company who makes green smoothies and salads. We retail those at Moore Wilsons and Common Sense and we offer organic catering to businesses like WETA and businesses in the CBD. The proceeds go toward supporting the farm financially, and the food waste from making the smoothies and salads gets composted back into the soil to grow new food. It's a beautiful life-cycle. 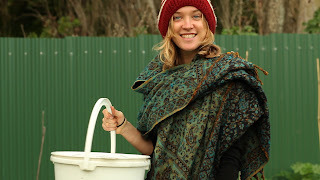 "Another business that is doing a collection service similar to us is Kai to Compost but that's on a much larger scale - they have bigger bins and they mainly focus on food businesses. So we will be collaborating with them to forward on clients that are too big for us. So we fill a niche - more for small businesses or residents who don't have gardens of their own, who don't have the ability to compost themselves and feel guilty about throwing food waste into the landfill." And they do need a lot of compost. 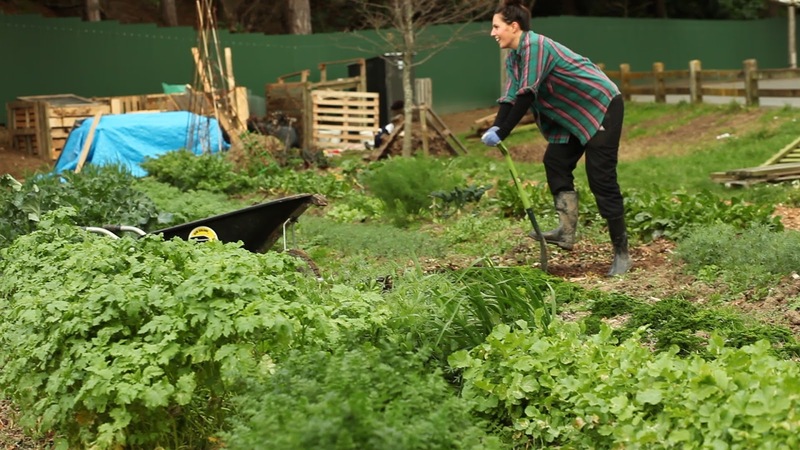 They have grown over 640kgs of food since beginning planting last December and now have four times as many garden beds and are continuing to expand. 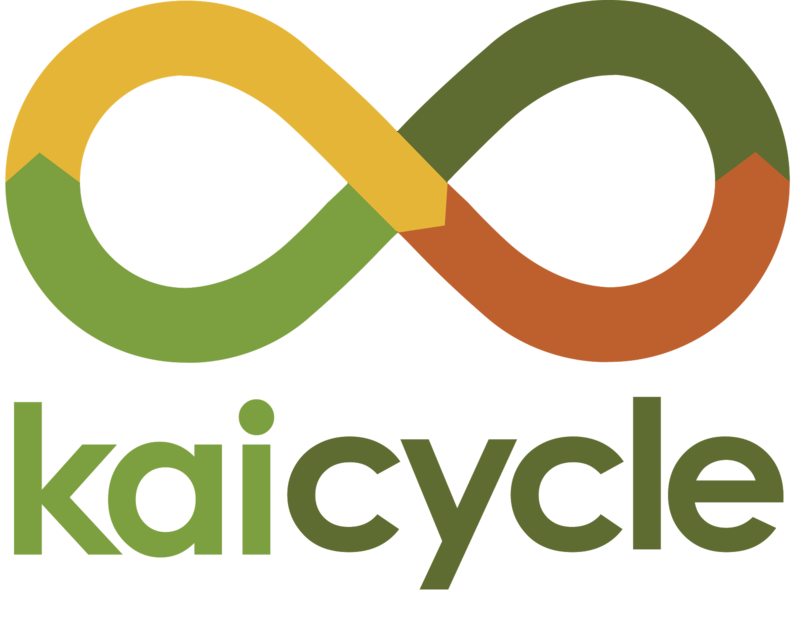 Currently Kaicycle are only making compost from plant-based food waste as animal products attract pathogens (disease-causing bacteria) and vermin. "Meat can be disposed of with composting, but it's just another layer of variables we'd need to add in, so you need to be monitoring it in a slightly different way and being more careful. So maybe as we make our process on a bigger scale, we can do stuff like that, but for the time being we're just starting out with the simple stuff. Which is the most of the food waste that gets sent to landfill anyway." “Nutrient-dense food is a term used to describe all sorts of foodstuffs which are high in nutrients in relation to their energy component (calories). Most food today has a much lower nutritional value now than what it used to a century or two ago. This has several reasons: soils have been depleted over the last century; the varieties bred for industrial agriculture are not selected for nutritional values but for ease to harvest and transport; food sold is rarely fresh as much is processed and altered (nutrient density is higher in fresh food). “The results of the low-nutrient density in our food can be seen anywhere: obesity and many common first-world diseases have their root in generalised malnutrition. She also described how higher nutrient density in plants leads to much less problems with pests and disease, as the plants have the resources to defend themselves, thus negating the need for pesticides and herbicides. Trainee farm manager Kelly-Ann Barrett says one of workerBe Oasis’ long-term goals is to have an urban farm in every suburb. Their goal is to provide workshops on the farm covering topics like creative composting, double-digging and home gardening skills. They have so far started out on a small scale, with kindergarten class trips where the children visited the garden, interacted with the gardeners, tried some of the vegetables and were shown very basic principles of gardens and growing food. 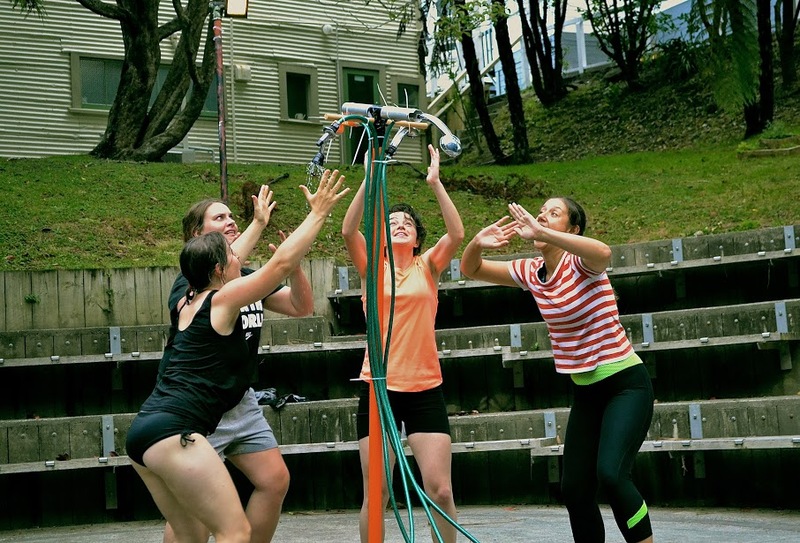 Kaicycle has just participated in the Low Carbon Challenge, an initiative run by Inspiral and the Wellington City Council. They didn’t receive the funding they were competing for, but gained very valuable mentoring and constructive feedback on their enterprise. They are already up and running and are looking to sign up a hundred more clients by December this year. The urban farm is being prepared for these larger scale composts, with building operations currently underway. The team is running a Pledge Me campaign, to raise funds for its infrastructure - to build a shelter for education programmes and for a lot more equipment to be able to experiment with different composting systems. They also would like to get electric bikes and trikes that can carry more weight, more trailers and more compost bays. Your contribution will be very greatly valued - you can help them out with their PledgeMe campaign by clicking here. People interested in volunteering their time and learning about gardening and composting can go along to the urban farm at 5 Hospital Rd in Newtown during the volunteer times, on Sundays between 1pm and 3pm (weather depending). 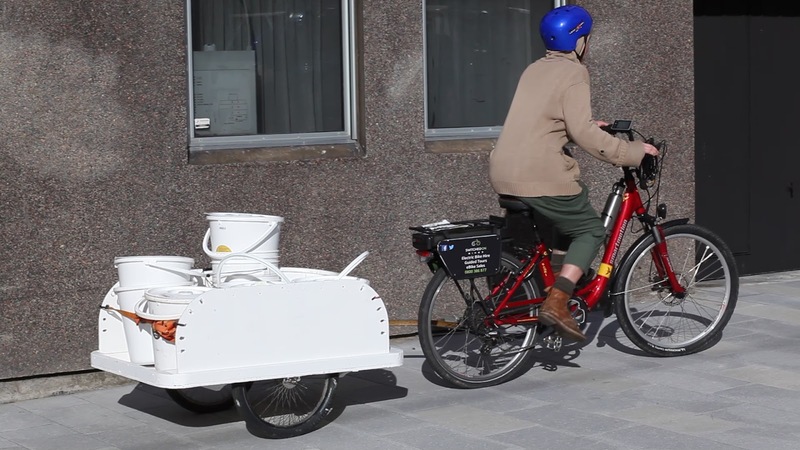 Kaicycle is already servicing small businesses around Wellington’s CBD, with the suburb of Newtown now the testing ground for residences using the collection service. An Uber-style app designed by software developer Sheldon Levet will be used to add new customers and cyclists, track the cyclists and their pickups and track customer contributions - letting them know how much compost and food they have created. For residences and small businesses wishing to sign up for Kaicycle’s food waste pick up service, you can subscribe at the website here. The service is $30 monthly for residents, and $60 for businesses. 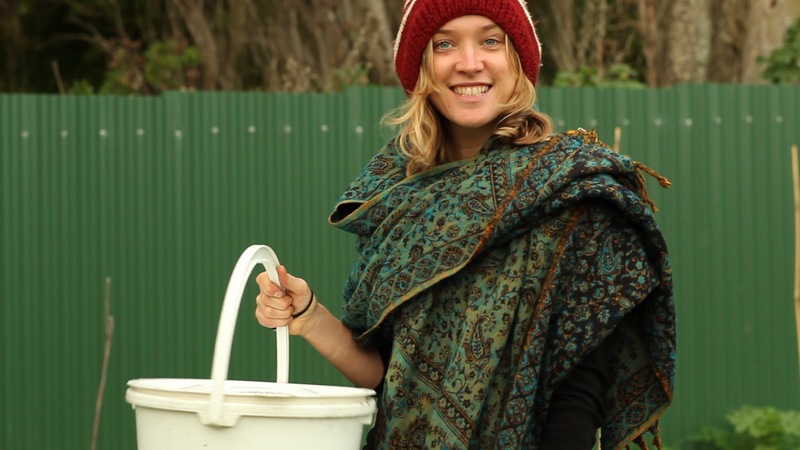 The team arranges a day to drop off your bucket, and your first week is free! There is also the option for more affluent customers, who care about the environment and want to be part of positive change, to sponsor a bucket for less well-off households. How sweet is that? One of the benefits of my work is that through every encounter with such interesting creators and their diverse projects, I get educated! I have had the good fortune this week to talk with Pat-a-Cake Productions co-founder, Bop Murdoch about their latest production 'The Trickle Down Effect', part of Wellington's 2016 Fringe Festival. 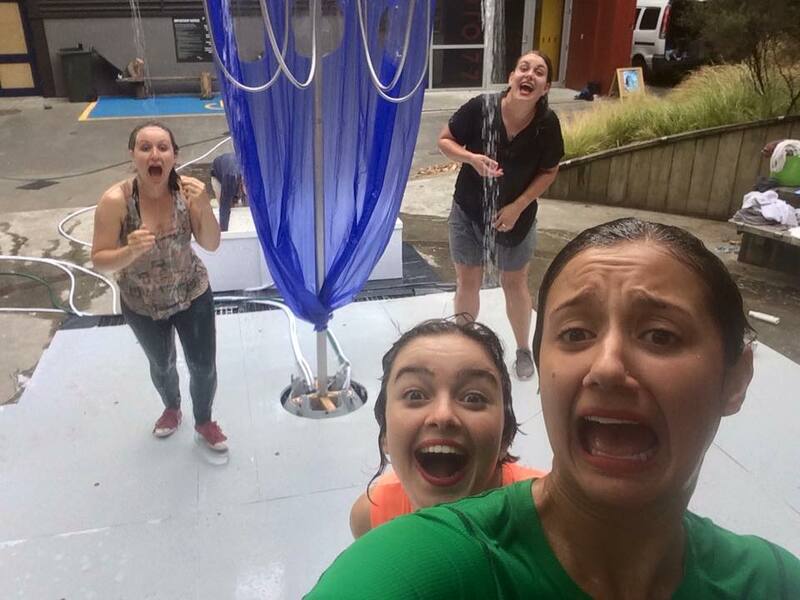 The show is a physical exploration of New Zealand's rising economic inequality using water as a metaphor. It really opened my mind about the critical state of the situation here in New Zealand, something I hadn't directly considered before, especially having just moved back to Aotearoa. Above is the video interview with Bop speaking about the production and current inequality crisis. "Basically what's going on is that our rich are getting richer and richer and our poor are getting poorer and poorer. The situation globally is that sixty-two people own half of the entire world's wealth. Which means that the other half is split amongst everyone else - billions of people". "Recent Oxfam statistics show that by 2020 about eleven people will own half the world's wealth. Obviously things have never been perfectly equal. But the 'We' society has definitely turned into an 'I' society". "The sense that a lot of us got from our parents is that if you make all the right decisions, get a job and work really hard in that job then you can climb the ladder, get richer and you will be ok. And that you have an obligation to do that because no-one else is going to look after you. That system is not working. There's this new class of people who are living in poverty but are working - the working poor. And that is leading to all kinds of situations that in New Zealand we really shouldn't be in". "Our children are dying of preventable disease and our society's just becoming more and more divided. When you look at a living wage, in relation to what it costs to live, and how many people just don't have that living wage, it is clear the system needs to change". 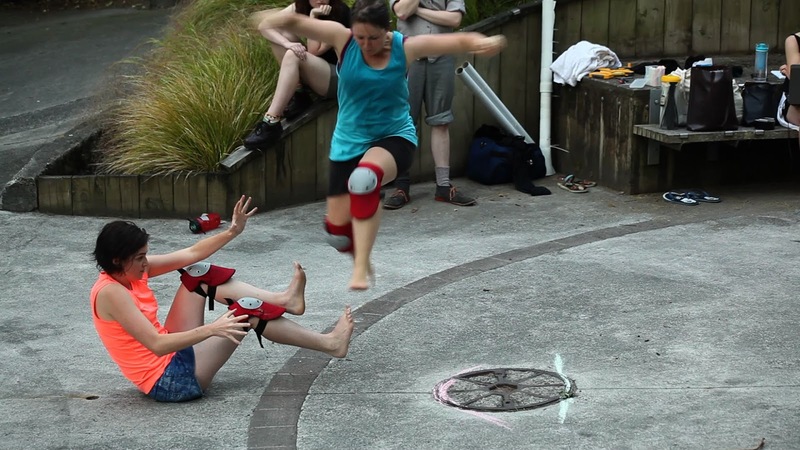 The show features actresses Trae Te Wiki, Ingrid Saker, Hannah Kelly and Sabrina Martin and the action is a result of deep collaboration based on their research into the economic situation and a synergy of improvised play. "We delved into how the research was making us feel: sometimes feeling overwhelmed, sometimes quite anxious and fearful about our own situations, sometimes feeling guilty if there are things that we have that other people don't. And lots of readiness. Readiness to make changes, to reject the old paradigm that got us here and readiness for a 'conscious consumption revolution'. So what we did is we literally turned those feelings into moments of action that have shown up inside the show". "One thing that we didn't expect to discover is just how much equality relates to the well-being of the entire nation. The social effects of an unequal society affects everybody so there's so much reason for even the wealthy to care about this issue. When you don't take action outside of your own neighbourhood or lifestyle then you lose a sense of what life is like for other people and that loss of empathy is really detrimental to our whole society". "He was very realistic and he said that that was great but really it comes down to the government making better choices about how to redistribute the wealth in New Zealand. His only other recommendation was that if you're in the position to pay people living wage then do so, because that helps to increase that bargaining power of the people. And he's really got his finger on the pulse. "We can't make any changes unless people know more so there's a lot of inspiration to go and look it up and find out more and access this conversation rather than keeping on sweeping it under the rug". Set designers Alana Inglis and Ashleigh Jenner were involved in rehearsals from the start of production, evolving the set along with the action. 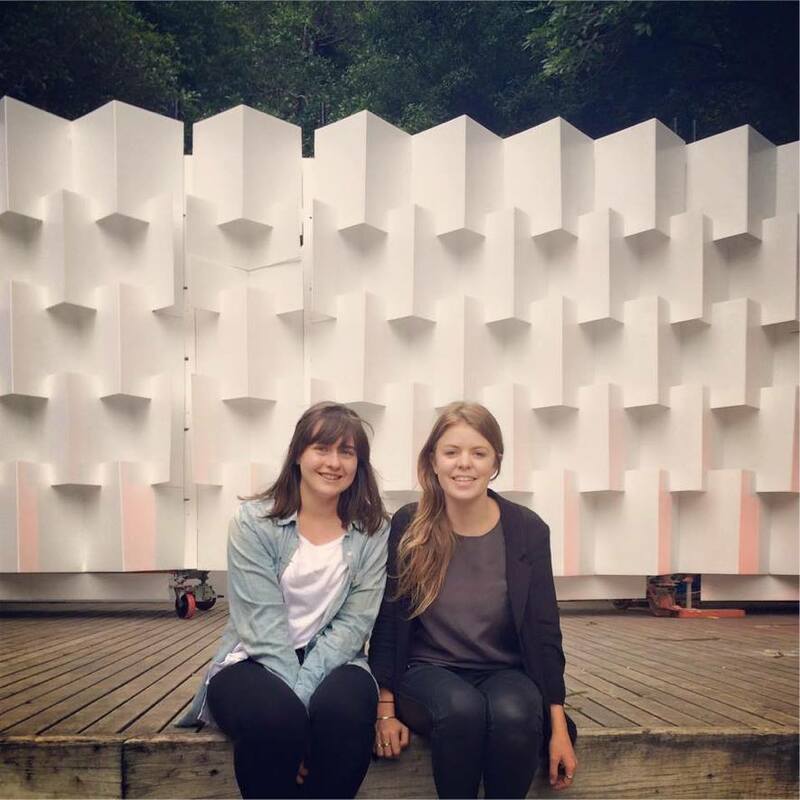 Masters' graduates from the Vic Uni School of Architecture, Alana and Ashleigh trialled several different configurations, culminating in the final set. "We were inspired by the circle at the show's location, the Amphitheatre at 77 Fairlie Tce. Five showers were built, each with a different water pressure to highlight inequality. 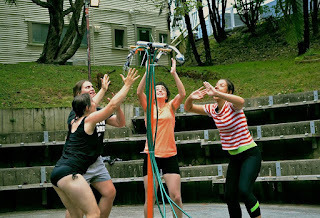 There are four showers for the four actresses, the fifth shower is representative of the 1% you never see - the person missing from the conversation. You never see those multi millionaires." "A lot of money is spent on building material in theatre and set design, which is used sometimes for just a week and then thrown away. We like the challenge of up-cycling. 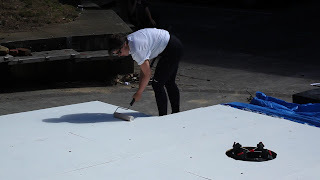 We had plywood gifted to us and plastic pallets from a construction site given to us for the floor." Nice that the basis of the show is a solid foundation built from donations, sharing and reusing materials, perhaps symbolic of a new economic paradigm we can cultivate. The show will be presented outdoors at the Vic Amphitheatre, 77 Fairlie Tce, from Thursday the 25th to Sunday 28th of February, with two shows daily at 3:30 and 5:30. You can get your tickets here. The show features stage management by Catherine Hart, music by Finn Johansson and marketing by Sarah Tuck. Pat-A-Cake co-founders are Bop Murdoch, Sarah Tuck and Jody Burrell. A great big thanks to Hannah Beattie Photography for the photos used here and in the video. "Oxfam have got their finger on the pulse when it comes to getting the right information. One organisation that I love is Conscious Consumers. They have this great app that records where you spend, so you can find out which businesses are making ethical choices that you agree with and you can opt to spend your money there. Living Wage Movement is part of the change we need to be making. Other great resources are 'Inequality: A New Zealand Crisis', the aforementioned book by Max Rashbrooke and the documentaries by Bryan Bruce". Knowledge is power. Kia kaha! Happy Year of the Monkey! It's a Fire Monkey and the new lunar year has started off here in Wellington with really hot weather and even some bush fires last night! In accord with the fiery theme, this week's interview looks at art created through fire! 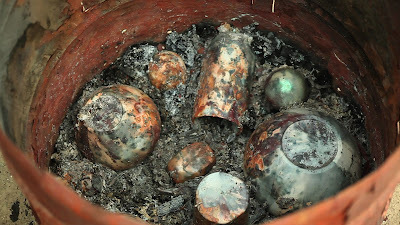 "The pots are given colour first of all by the fire, and secondly from other organic and chemical materials that are put either in the fire or around the pots before they're fired. 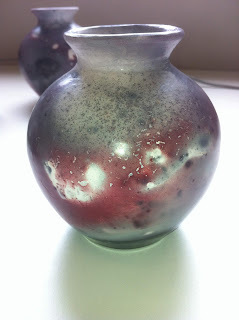 Different colours come from substances like salt, or seaweed, copper carbonate, copper scourer, sawdust, coffee grounds." A member of the Wellington Potters Association (WPA), Chris first learned about pit-firing from fellow member and friend Francesca Costa who taught him her firing technique. Chris does his work there at the WPA clubrooms in Thorndon. 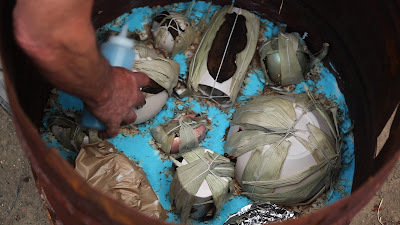 "Pit-firing can be done in a hole in the ground, a brick structure, or in a drum. I use a 44-gallon drum to do my pit-firing because I can move it and put it away afterwards. We're not allowed to have fixed fire structures at the clubrooms as it is on town-belt land. 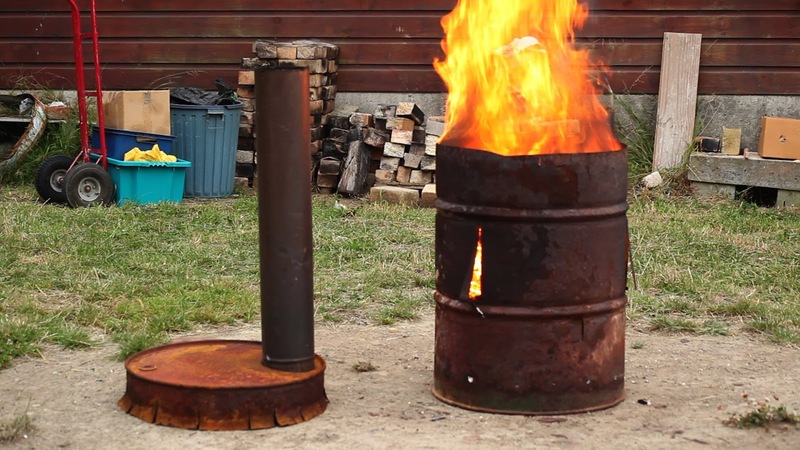 We have a fire permit, so when we do a firing we have to ring the fire service to tell them." There has to be a person in attendance while the fire is burning, which takes about 3 or 4 hours until there's nothing but hot ashes. It then needs to be left for at least 12 hours until everything has cooled down. If the pots are removed while they're still hot, the cold air will cause them to crack from thermal shock. 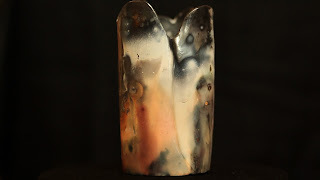 "It has a resonance with the natural environment, in part because the colours come from natural materials but also there's a mythical resonance with colours in the weather and environment. So, the coppers and the salts give pinks and reds that are reminiscent of the colours of sunsets." Other advantages of pit-firing are that it is relatively quick and easy, lots of fun and 'great if you happen to be a pyromaniac'. "Some people would say that a disadvantage of pit firing is that the pieces aren't waterproof. 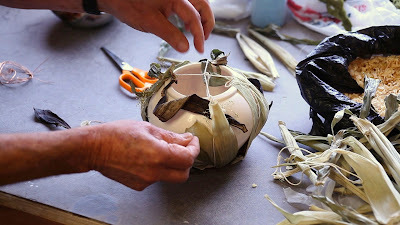 Traditionally they were made waterproof by lining the pots with resin or gum. I could make my pit-fired pots waterproof but I think they're much better as they are. They are something very beautiful and artistic. 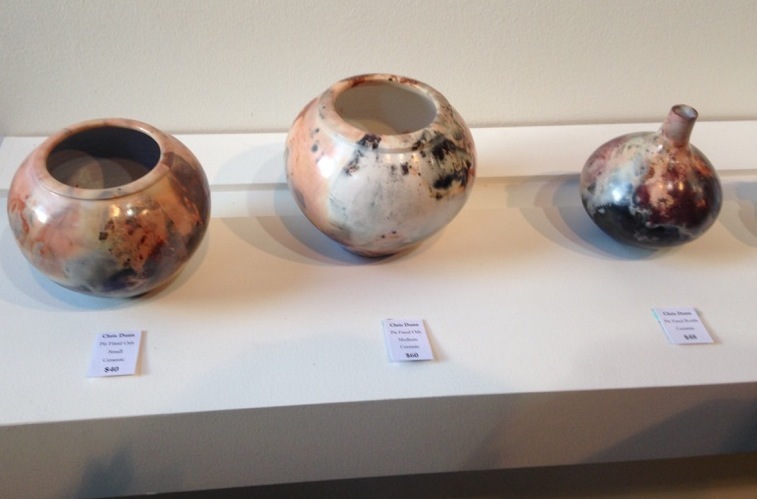 I like the idea of pit-fired pots as decorative pieces." Chris started pottery in 1976. Originally from Sydney, he visited the West Coast of the South Island while a university student, and there met potter Hardy Browning. He returned to Australia but couldn't stop dreaming of returning to New Zealand, as he was captivated by both the country and the idea of becoming a potter. Eventually he wrote to Hardy to ask if he could come back and learn pottery from him, was accepted and returned to work as a full-time craft potter. A week after arriving back in New Zealand, he met his future wife Annabel. "He had been a coal miner. 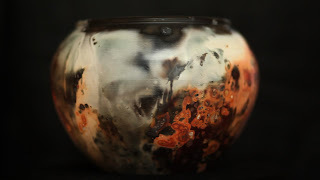 When the coal mines were closing down on the West Coast in the late 1960's he was taught to pot by pioneering potter Yvonne Rust, who was then the art teacher at Greymouth High School. She set up a class for redundant coal miners, to try to teach them to become self-sufficient craftspeople. Hardy was the one person who ended up completing the training and becoming a craft potter." Chris took a hiatus from pottery to complete a post-graduate degree and has just recently returned to the craft in the last few years, luckily for us! 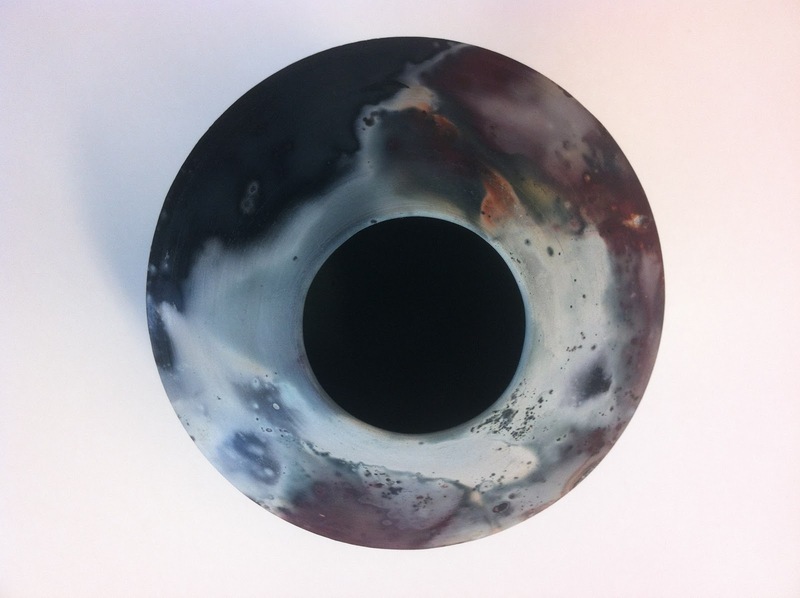 He is working toward many exciting creative projects with his pottery, including lamp bases from his pit-fired pieces; multi-coloured decorative work with glazing (see above) similar to UK potter Tony Laverick's work; and landscape platters using Wellington harbour and New Zealand bush as themes. He would also like to start making casserole dishes again. His dream is to be able to go to the south of France for an international craft festival and sell his work there. 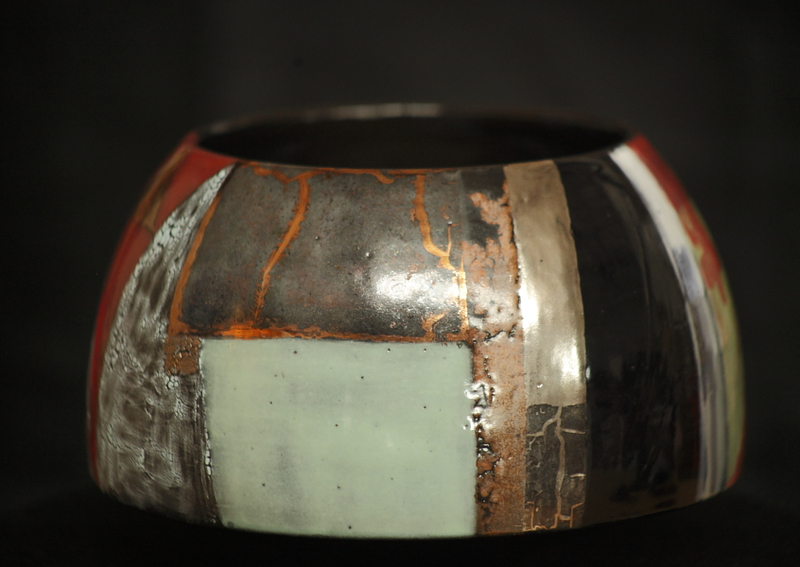 "What I like best about ceramics and pottery is that you're learning all the time. It's totally engrossing. When you're doing it you don't worry or think about anything else. I think that everybody should be a craftsperson, in some way or another. Although quite a lot of craftspeople are crazy, they're actually relatively contented crazy people, or they have a way of expressing their craziness. And there are a lot of people out there who are not happy who probably would be happy if they could be craftspeople." Chris told me that in the seventies there were over 5,000 registered craft potters in New Zealand, and that now there are less than 100. Wouldn't it be great if we began supporting locally-made craftware again instead of buying mass-produced, soulless pieces from factories overseas? As well as selling his work in exhibitions Chris also sells his pottery at the New Zealand Academy of Fine Arts on Queens Wharf, Potocki Paterson Gallery in Dixon St, Wellington and NZique, a craft gallery in Petone. For more information you can contact Chris by email at cdunn@ihug.co.nz. she was my first one." 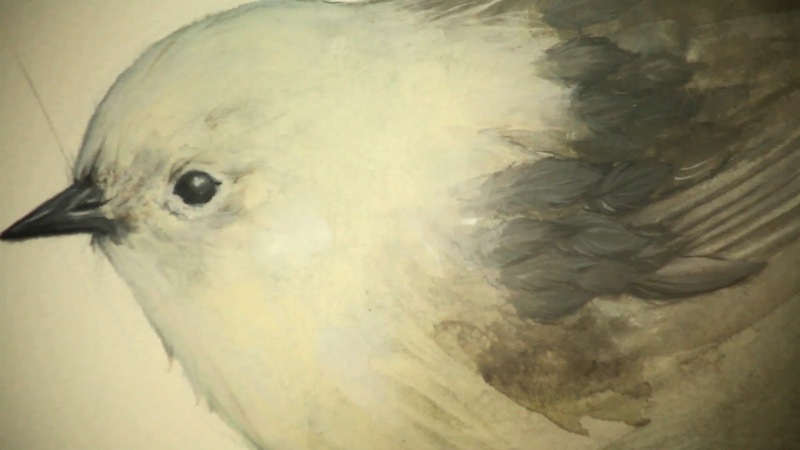 "When I started looking into it I realised there are just so many birds we have, and so many birds this country has lost, that a lot of people don't know about. Like the black stilt, where there are 77 or so adults left in the world. And they're endemic to New Zealand." 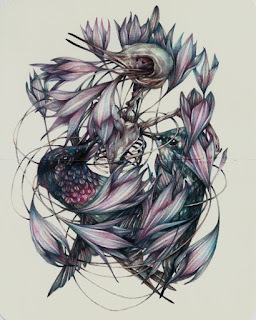 She combines the fluid and unpredictable nature of watercolours with precise intricate detailing using coloured pencil to focus on parts of the bird like a beak, an eye or a wing. "I love to start out with the watercolour because it's so loose. It's fun because you can make mistakes and it still looks purposeful. I like keeping the drips in the artwork, I like that they're imperfect. I'm not trying to take a photograph. I think it should look painted, and paint drips. Therefore there are drips." 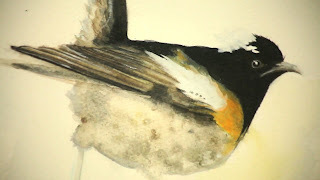 She has also experimented with different techniques, including using salt on top of the paint, the chemical reaction creating speckles, great for enhancing wings and feathers. "To be wanting and able to create something I have to listen to music, have my own space, be in a really good environment. I'll go and do this really nutty thing where I'll clean the living room so it's perfect, and then I can paint. With music playing. Then I'm ready." She is inspired by artists such as Italian Marco Mazzoni, who creates beautiful, surreal and hyper-realistic colour pencil images of flora and fauna and parts of humans. "I used to do surrealism. A lot of dark, morbid but humorous oil paintings. I also did a few little necklaces that I sculpted out of clay. Severed fingers, a little crumpled hand... using beautiful red shellac for the blood so it was glistening. They were gorgeous. People bought them too. I really get some sort of creepy enjoyment out of making people feel uncomfortable, because it's hilarious. I just need to find a way to do it that will still appeal to people. Because at the end of the day, I enjoy working with good quality paints and really nice paper and that costs money. So I still need to be able to sell them." "I'm nut sure how it will appeal to people, but it's honest." 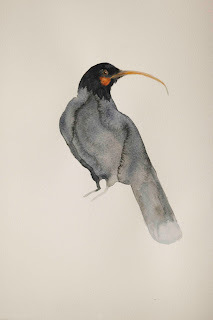 "So if there were 77 black stilts left there would be 77 prints made for sale. It then kind of puts it into perspective for people, to know that's however many are left in the entire world." There are many things we can all do to help. Catherine suggests locking your cat up at night, and giving it a bell to wear. Plant native plants in your backyard. Buy a trap from the Morgan Foundation to keep in your backyard to kill the rats and hedgehogs. Keep a honeyfeeder in your yard to encourage Tuis and other nectar-feeding birds. 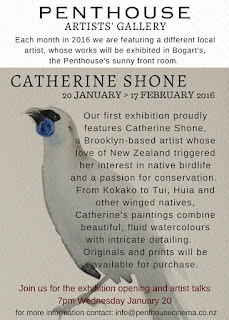 She also encourages people to donate to New Zealand's Forest and Bird organisation. 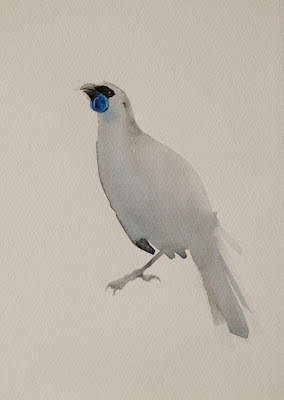 The birds featured in her series include Kokako (endangered), Huia (extinct), the Chatham Island Robin (who has such an interesting conservation story behind the attempted breeding programme of them), Bellbird, Tui, Stichbird, Saddleback, the Yellow-head (critically endangered) and the White-head. Both originals and prints are available for purchase. 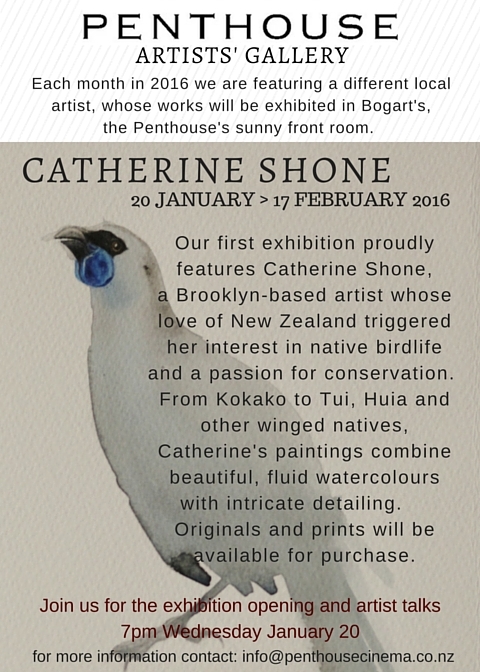 Exhibition runs from January 20 until 17 February, 2016 at the Penthouse Gallery in Brooklyn, Wellington. You can see more at her website. Bloody great, Catherine. 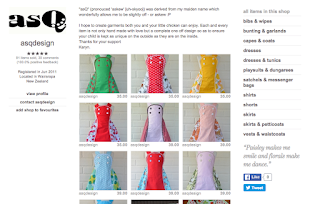 "I sew mainly for kids because I have a slight fabric addiction. When I go fabric shopping, I like to buy just one metre per fabric. Then I can only get one dress, and maybe a skirt out of that one piece. And that way everything is one-off. I like that. I like to wear clothes that nobody else has." Finding her fabrics mostly online and in second-hand shops, she is now starting to use new fabrics as well, as she reckons second-hand shops aren't what they used to be. Maybe she's pillaged them all already? 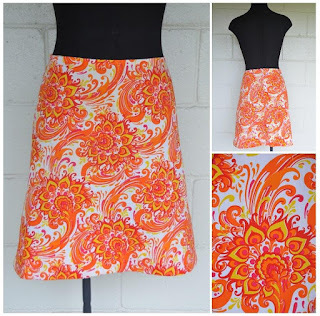 "I like to mix fabric patterns. And that's quite hard sometimes, but that's the challenge, and I think it works. My style is bright, bold, and old school. I like 50's and 60's, I like buttons... Colour I think is the main thing. And not too many pinks!" "Boys' stuff is very tricky, I find. It's very hard to find cool fabrics that are boy-friendly, that are not just trucks, or things with branding. I definitely won't touch branded things.... maybe Star Wars. Star Wars is alright. I love paisley, florals and things on boys. A lot of people don't though! So I don't do many boys' things. I get told that a lot, I need to have more of them." She makes all her own garment patterns, having mastered the technique during three years of fashion school. 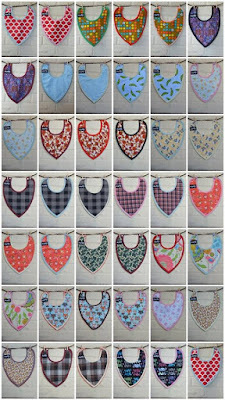 She has made over 700 pinafores and over 100 winter jackets. 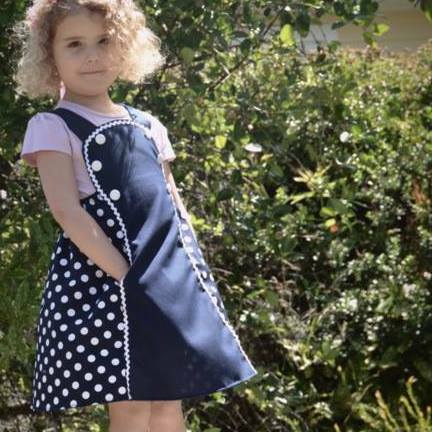 Some of her designs include The Rita Dress: "I call it the 'Rita Dress' because it's the name I wanted for my child but my husband wouldn't let me." The Wendy Dress: "A nice easy pop-over-the-head thing with a knit top and little puff sleeves. I call it the 'Wendy Dress' because it has a peter pan collar". She also does little halter-necks, and skirts for children sizes 1 through to 5. 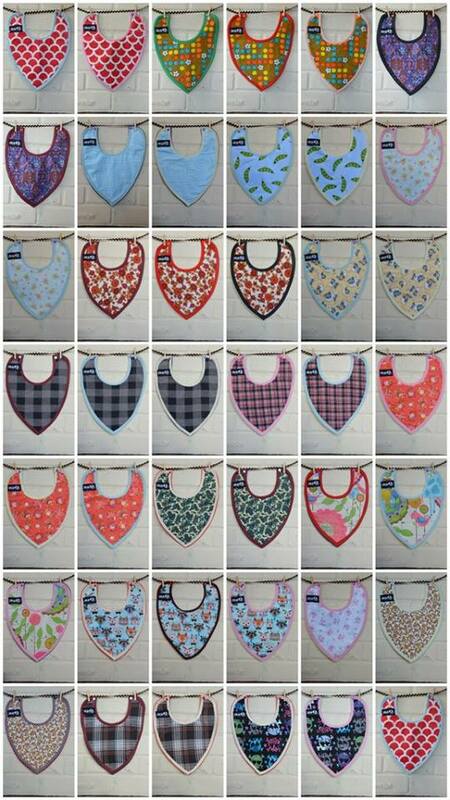 And Bibs! "With flannelette on the front, and micro-fleece on the back which keeps them warm and dry". I liked the one with skulls on it. She is creating more adult stuff, and has now started making her adults' skirts in two pieces so that she can easily sew them up to a customer's measurements anywhere between size 8 to 18, and then post them out. "It's very hard selling yourself. Every time you make something, I feel like it's a piece of yourself. And if you get, even just one person who doesn't like it, it's really hard to experience the rejection. My god! Rejection. On the other hand, another good thing about markets is you meet a lot of nice people, and you get a lot of compliments too. I do get paid in compliments a lot." Which doesn't pay the bills. That's why Karyn's dream is to have a store stock her items, so that she can stay at home in her little spotty sewing room (her description!) and sew to her heart's content. 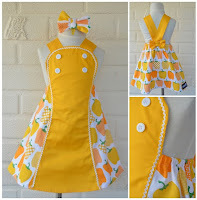 The name asQ Design comes from her maiden name Askew, which she was still using when she began her sewing addiction. Karyn has an online store and a Facebook page for her garments. 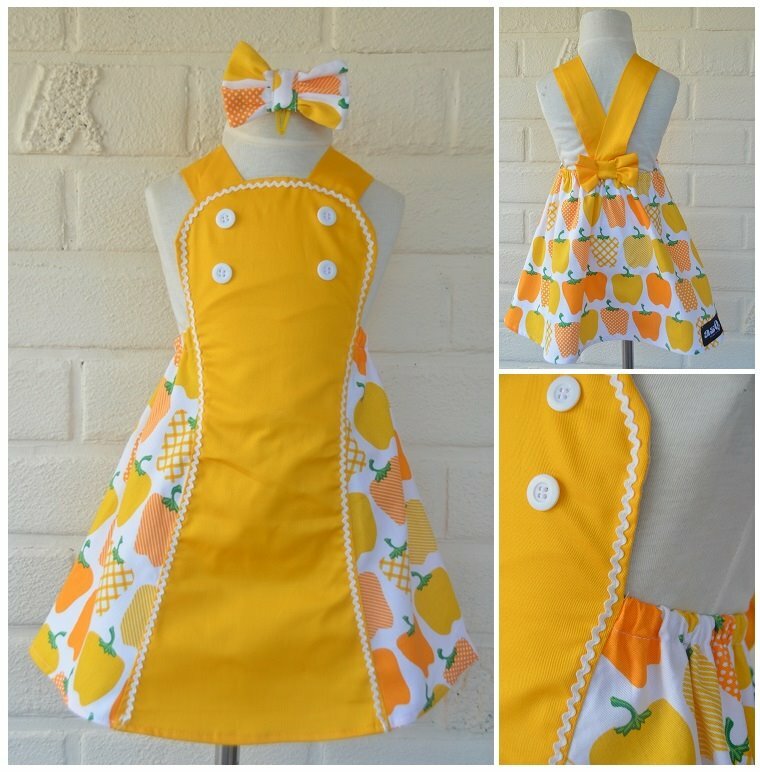 Customers can also email her their requirements at asqdesign@gmail.com to order a custom-made garment. She likes it when a customer posts an 'action shot' to FB, that is, a photograph of themselves or their children wearing a garment they have bought from her (the adults wearing the adult clothes, not the children's clothes they bought, that would be creepy, and they'd probably rip them). 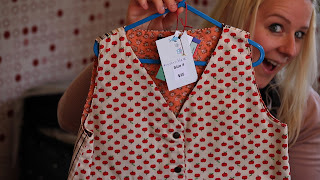 "They are specialty dresses really. People wear them for special occasions. And they last!" Not if mummy tries to get into them. I hope you've enjoyed meeting Karyn! I think she's wonderful and marvellously talented. I shall be taking a hiatus over the christmas and new year's break and will be back in early 2016 to share the interviews of more creative geniuses. Genii? Geni? Adieu! And best wishes for the last few weeks of 2015!